I often get requests for headshots against pure white backgrounds, also known as “hi key” backgrounds. The end product often looks simple, but many photographers struggle with lighting in creating such headshot portraits. 1. You need a seamless white backdrop (no kiddin). Paper seamless background rolls work well, but you can easily get by with a white wall. 2. I recommend (if you have it) at least two strobes (or speedlights). One on each side of the subject, and vertically offset so that one set higher than the other. I used to use one 580EX II speedlight or an Elinchrom D-Lite strobe to light the background, but I found the results inconsistent. One strobe often resulted in a gradient background that went from 100% (RGB, 255, 255, 255) white to an off-white that was around 80% – not exactly pure white, and more work was required in Photoshop to create a pure white effect. 3. 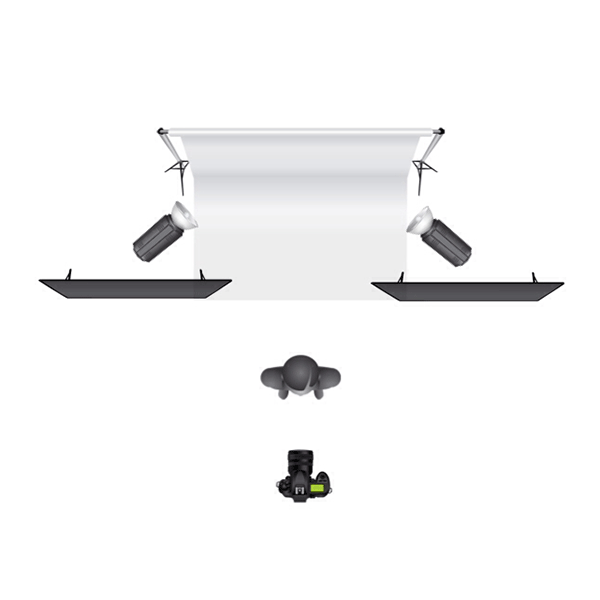 You need a way to flag the strobes so that light is hitting the background only and not directly back into the camera. V-flats work well for this setup. 4. Set the distance of the subject from the background to around 6-8 feet (or more, depending on exposure). This will allow you to control the background exposure separately from the subject. The more distance you have between the subject and the background, the more control you’ll have. 5. After lighting the subject, use an exposure meter, measure the exposure of the background and subject separately. The difference should only be about 1/2 to 2/3 difference between subject and background, with the background reflecting only slightly more light. This is important. If you have too much of a difference, you may create a hazing (low contrast) looking image. If there is too little difference between the subject and background, it may appear light grey rather than white (not a big deal, but will require a little more work in Photoshop to adjust). 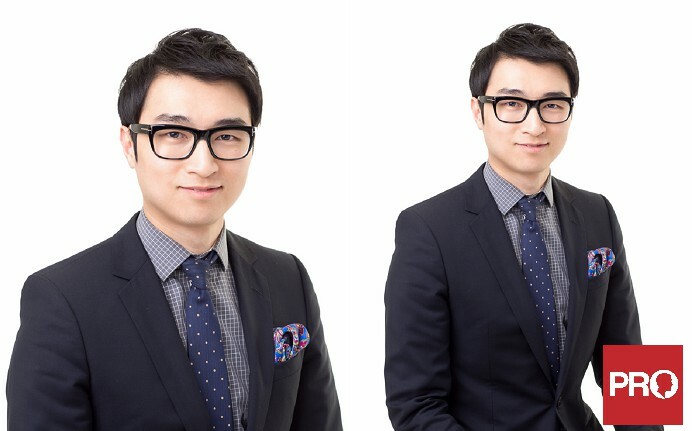 Using these steps will get you very close to a pure white background for your headshot portrait. You may not get 100% white in camera, but if you can get close, you can use Adobe Photoshop or Lightroom to take you the rest of the way. If you want a slightly easier way to create a white background, you can use a Lastolite Hilite for hi key photography. The same steps apply, except you won’t need to flag your background strobes in the same way you would strobes pointed at a wall or white seamless background paper.